The GSMA represent the interests of mobile operators worldwide, uniting nearly 800 operators with more than 250 companies. This international organisation gathers every three to four years at the World Radiocommunication Conference (WRC) to review and revise worldwide radio regulations. The 2015 conference was held in Geneva, and EHP were selected to facilitate some of the event’s construction. 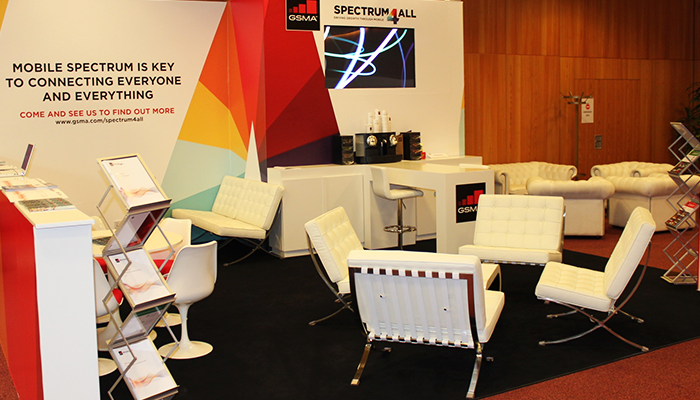 Area 1: A creative and interactive stand, promoting the GSMA brand to the conference’s attendees. The space should be open and welcoming, enabling the GSMA team to interact with guests, hold discussions, display printed and video presentations and position GSMA as an approachable, well-informed organisation. 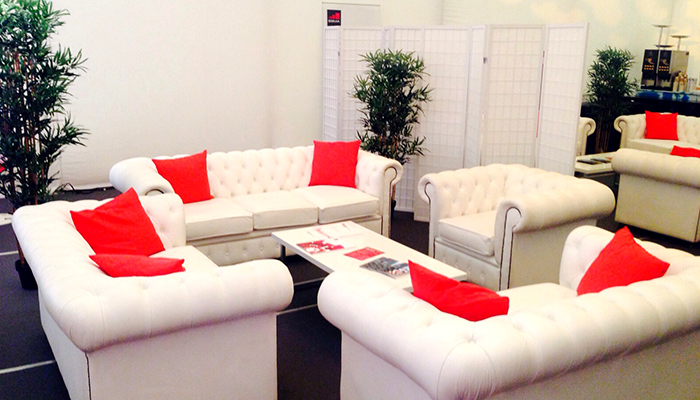 Area 2: A dual-purpose conference structure for daily seminars and personalised meetings with delegates. The space should include all structural elements, heating, branding, lighting and furniture, along with inbuilt storage for furniture to be stored during seminars. Having worked with GSMA previously at WRC12, EHP were contracted to do the same for 2015’s conference. 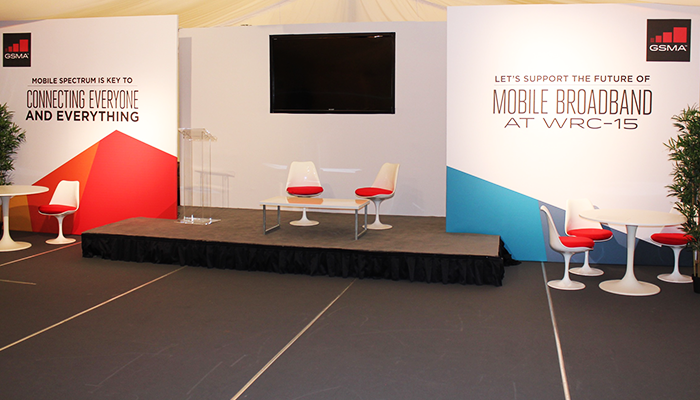 In order to meet the brief to create an open and inviting publicity stand, we worked closely with the GSMA team, designing full mock ups of both the stand and external marquee. EHP handled every aspect of the event from the design and build to transport and logistics, delivering the structures on time, and within a previously agreed budget.